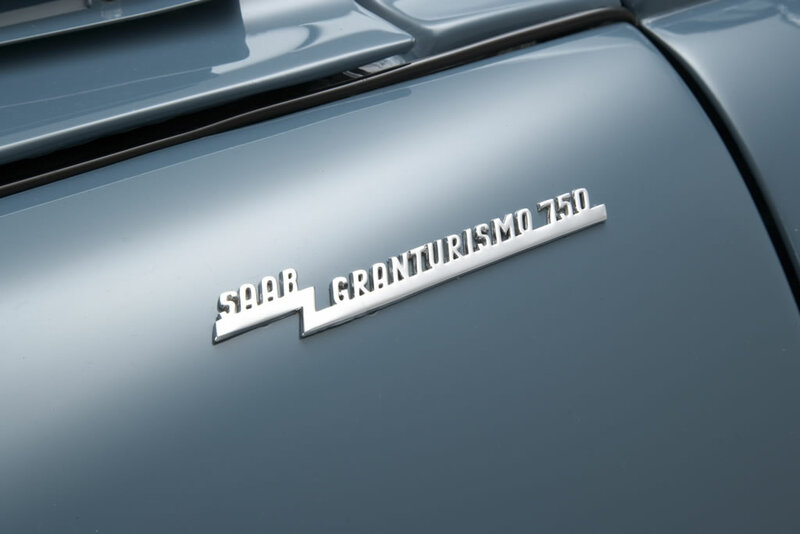 At the New York Automobile Show in April 1958, Saab debuted the 93 “GranTurismo” 750. Surrounded by an impressive collection of rally trophies and plaques, it took obvious cues from the increasingly successful competition cars. 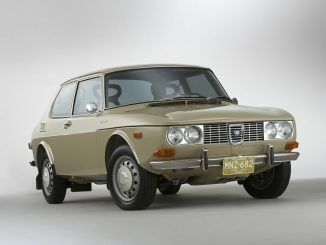 As an early precursor of today’s Saabs, the GT 750 was not just sporty, but also impressively luxurious. 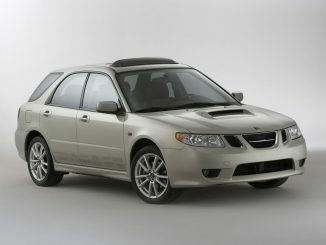 The exterior featured extra headlamps, chrome-plated hubcaps, bright side moldings and smart, “GranTurismo” emblems. The interior was beautifully detailed. 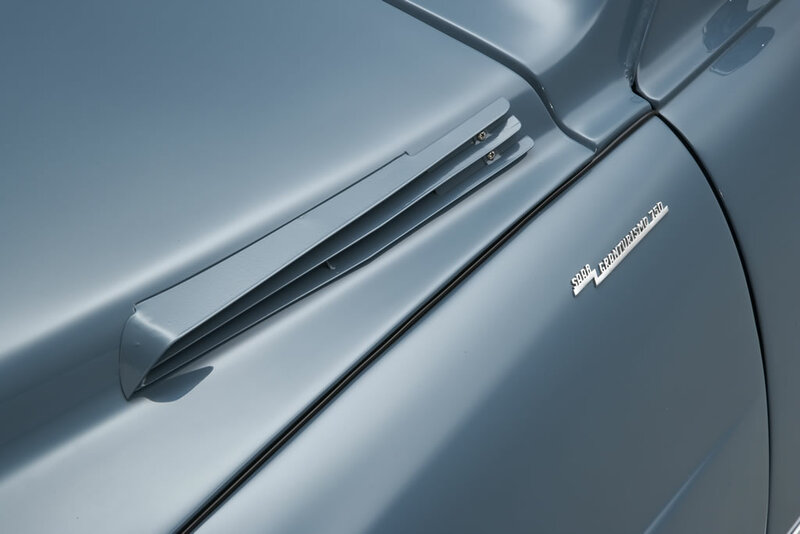 The dashboard included chrome-surrounded black dials, and in front of the passenger was a Halda Speed Pilot rally instrument. 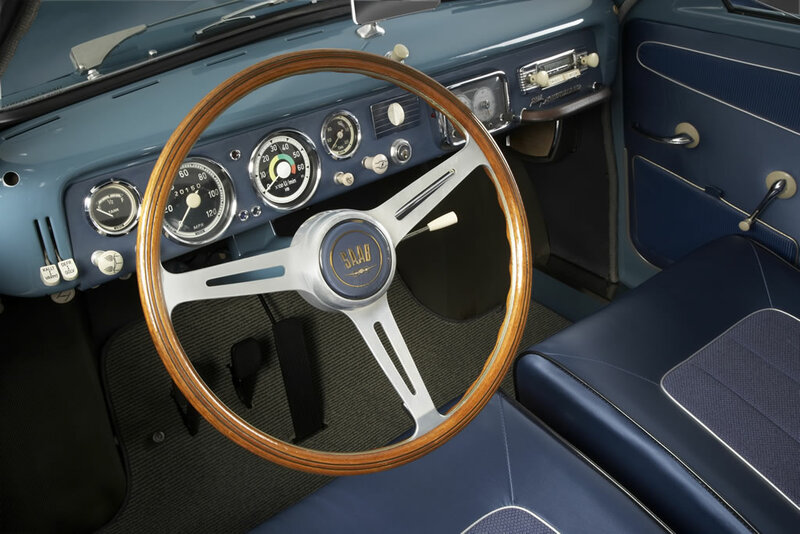 The classic steering wheel had three aluminum spokes and a wooden rim. The driver seat could be finely adjusted for an optimum position, and the passenger seat, which included a headrest, could be tilted all the way back. 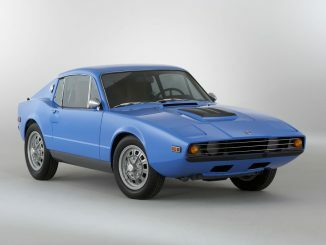 Thanks to twin carburetors, the 45-horsepower engine had an increase of 12 horsepower over the standard Saab 93 – which could be dialed up even further by using a special tuning kit. 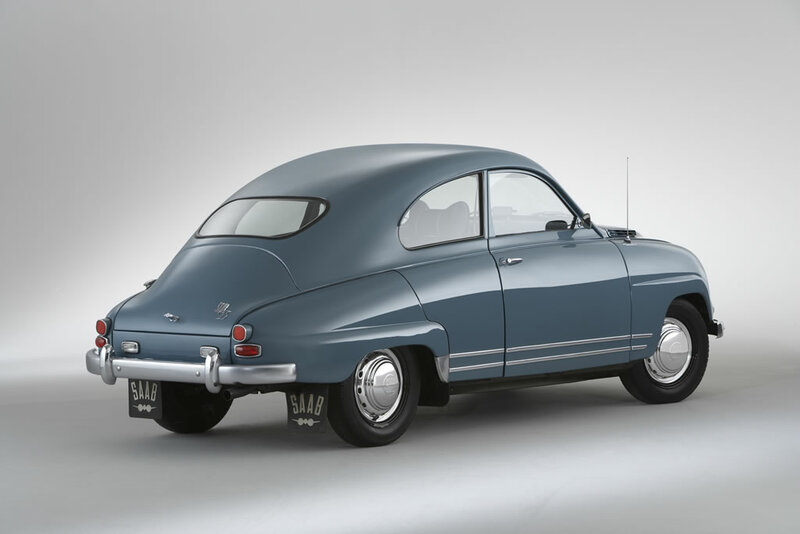 The three-cylinder, 748-cc two-stroke engine required that one quart of oil be added to the gas tank along with seven to eight gallons of gasoline. 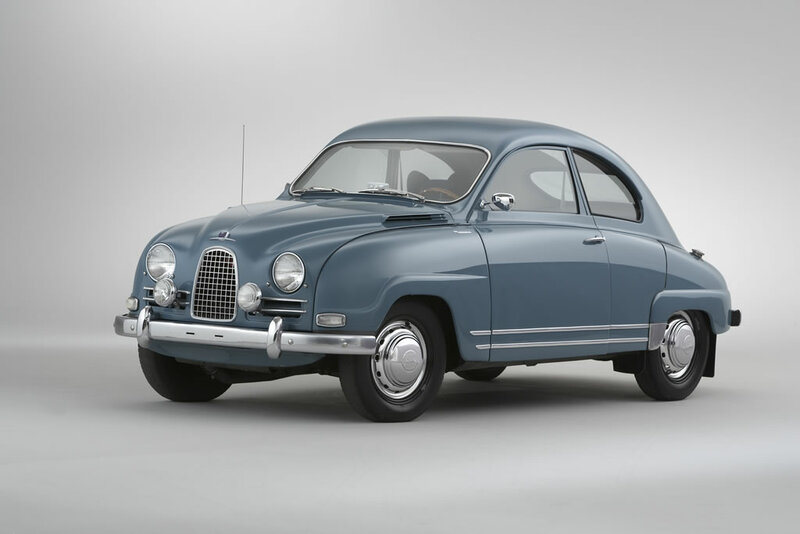 Approximately 605 Saab 93 GT 750s were built from 1958-1960, with 546 delivered to the US. 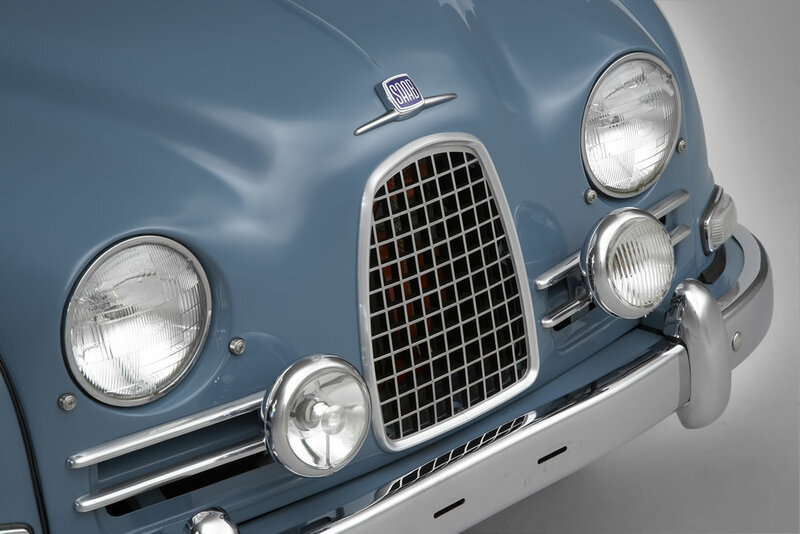 The 93 “F” in the Saab Automobile USA Heritage Collection is one of the final series, recognizable by its front-hinged doors. 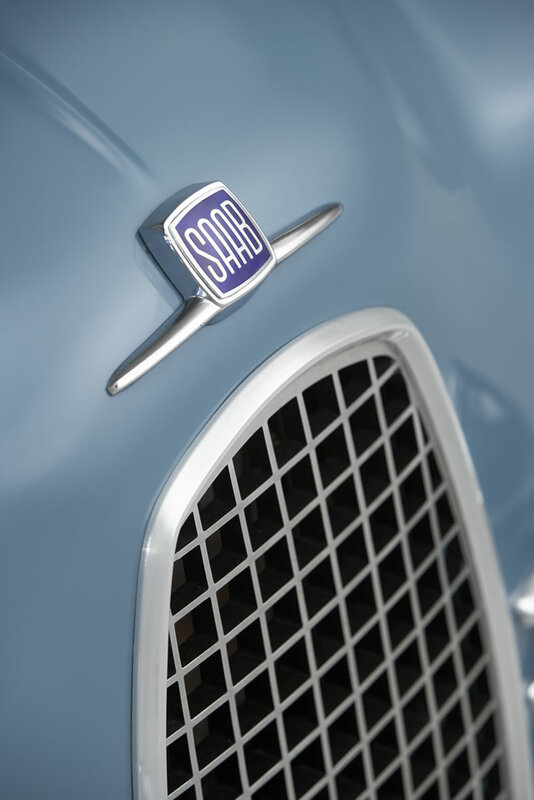 They were new for 1960, preceding the arrival of the thoroughly modernized Saab 96.